The National Weather Service has issuing a heat advisory for all towns throughout the state. 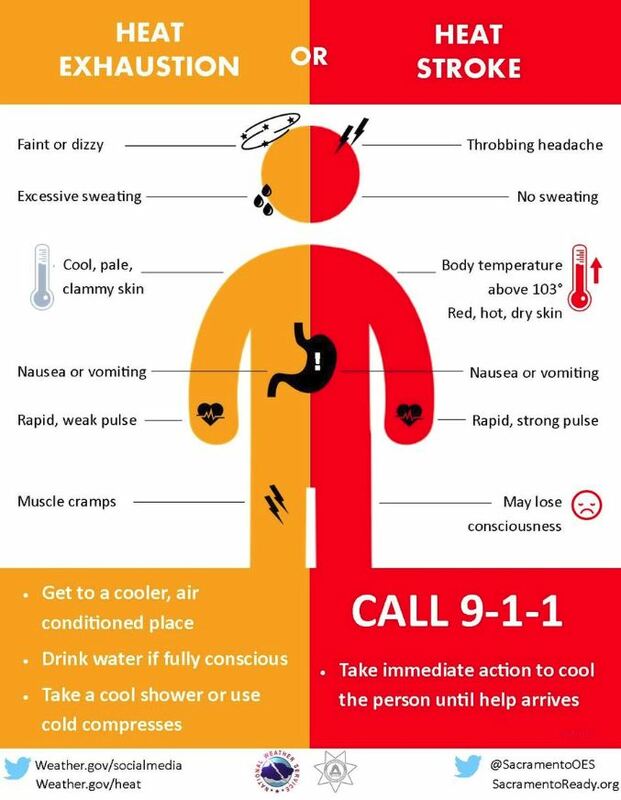 During Extreme Heat, the Division of Emergency Management and Homeland Security (DEMHS) and Department of Public Health (DPH) have offered several ways to stay cool and safe during these warmer temperatures. 1. Infants and young children are especially sensitive to the effects of high temperatures. 2. People 65 or older may not compensate for heat stress efficiently and are less likely to sense and respond to change in temperature. 3. People who overexert themselves during work or exercise may become dehydrated and susceptible to heat sickness. 4. People who are physically ill, especially those with heart disease, high blood pressure or who take certain medications, such as for depression, insomnia, or poor circulation. 2. Go outside when its coolest. 4. Wear light clothing and use sunscreen. 5. Check on family members and neighbors. 7. Check on family members and neighbors. 8. Never leave people or pets in a closed car.